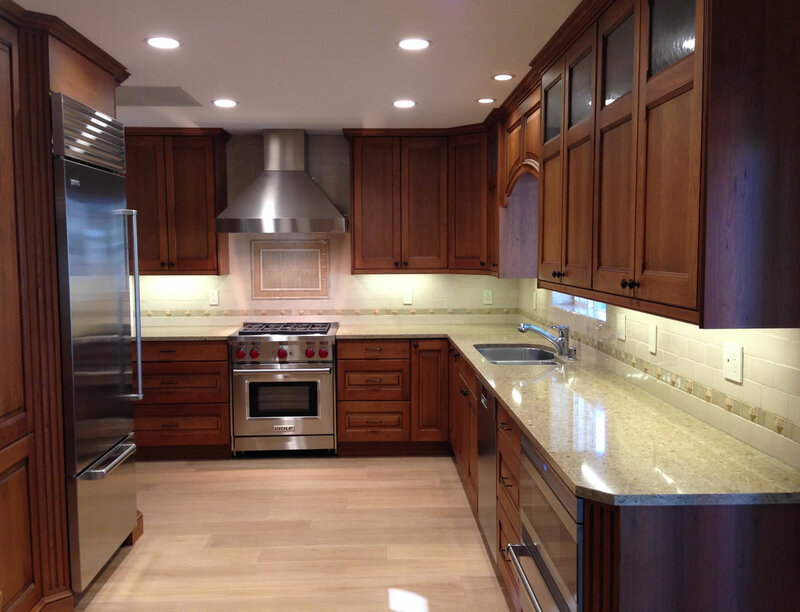 Huntington Beach Remodel 2014 | Le Gourmet Kitchen Ltd. 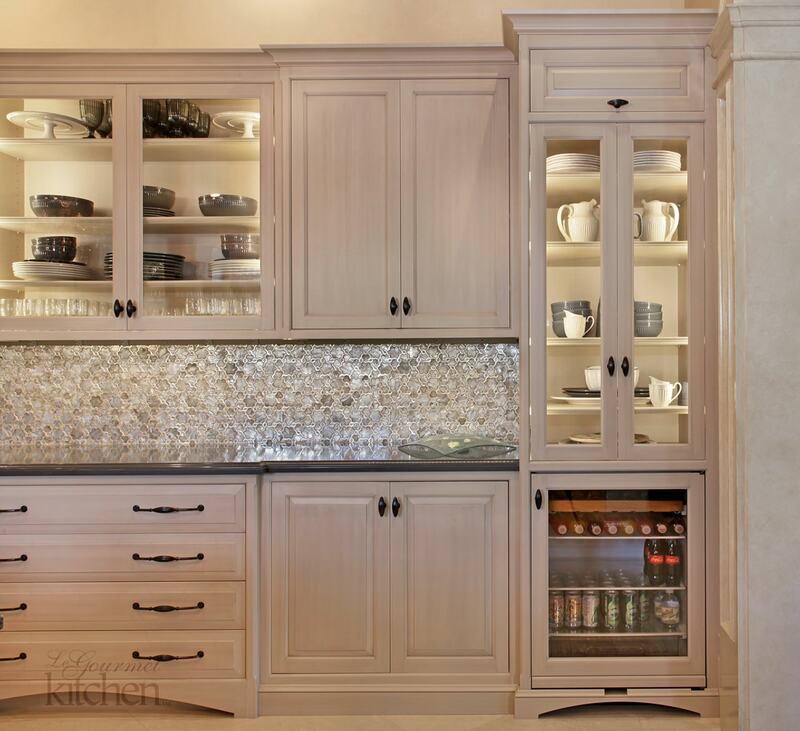 If you like traditional designs that are elegant and simple, then this is the one to check out. This beautiful kitchen, located in the heart of Huntington Beach, was designed by Bruce Colucci of Le Gourmet Kitchen in 2014. 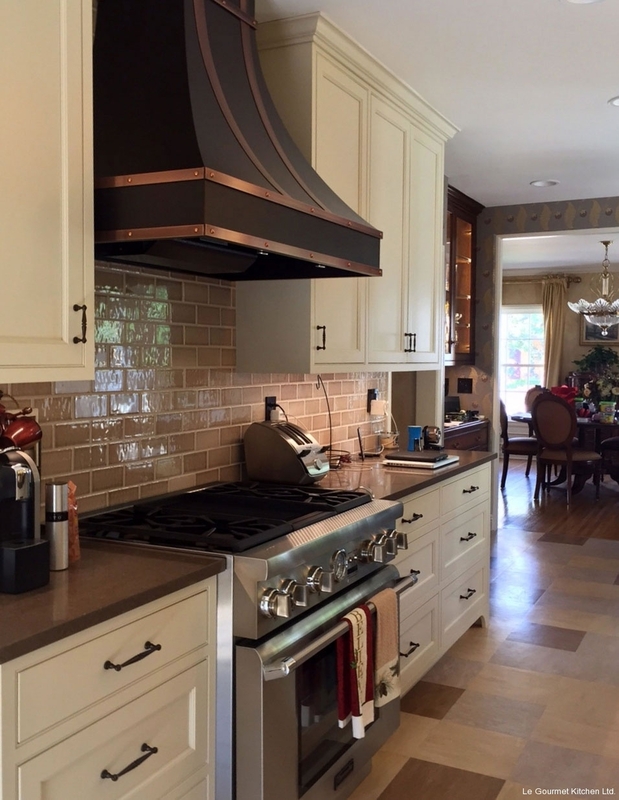 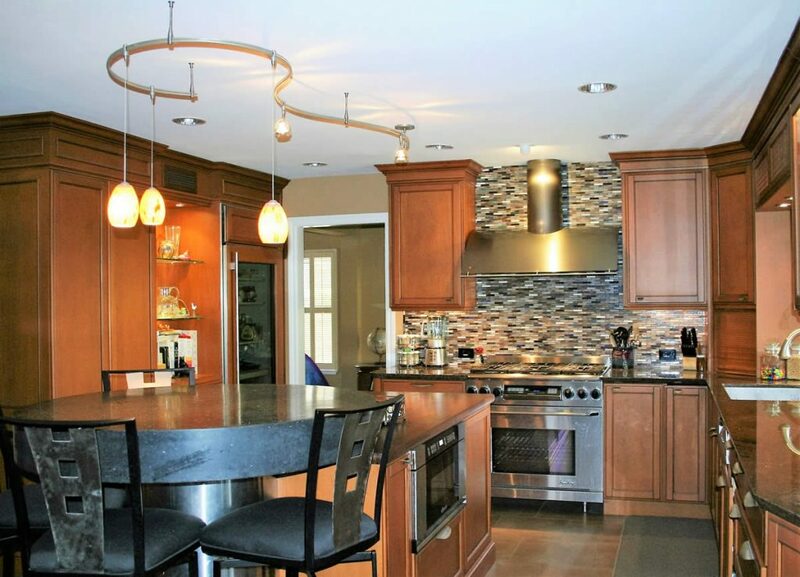 The Wolf range with a custom Vent-A-Hood above it makes sure to keep the kitchen looking sleek. 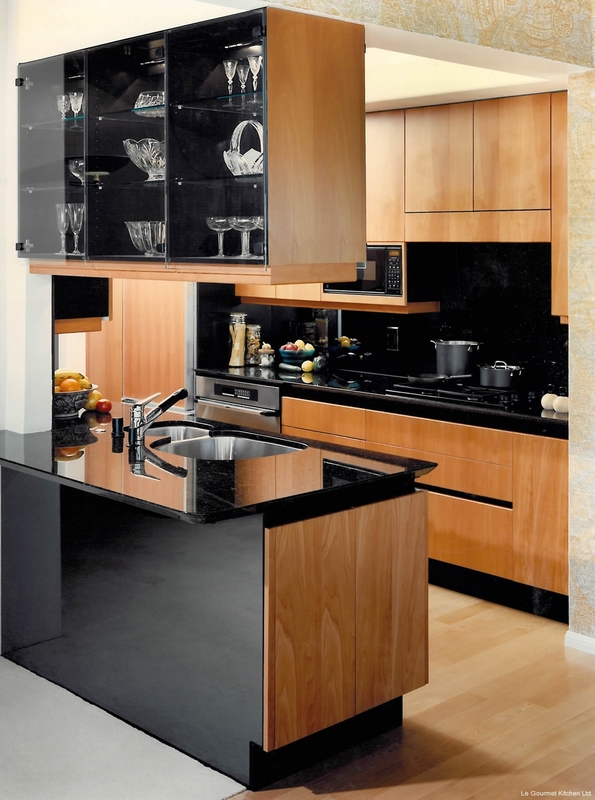 The appliances are also stainless steel, including a Miele dishwasher and a spacious Sub-Zero refrigerator. 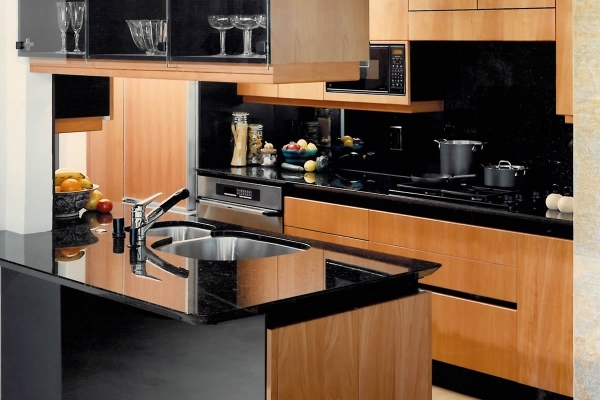 The double bowl sink provides ample space for prepping meals as well as cleaning up after a meal. 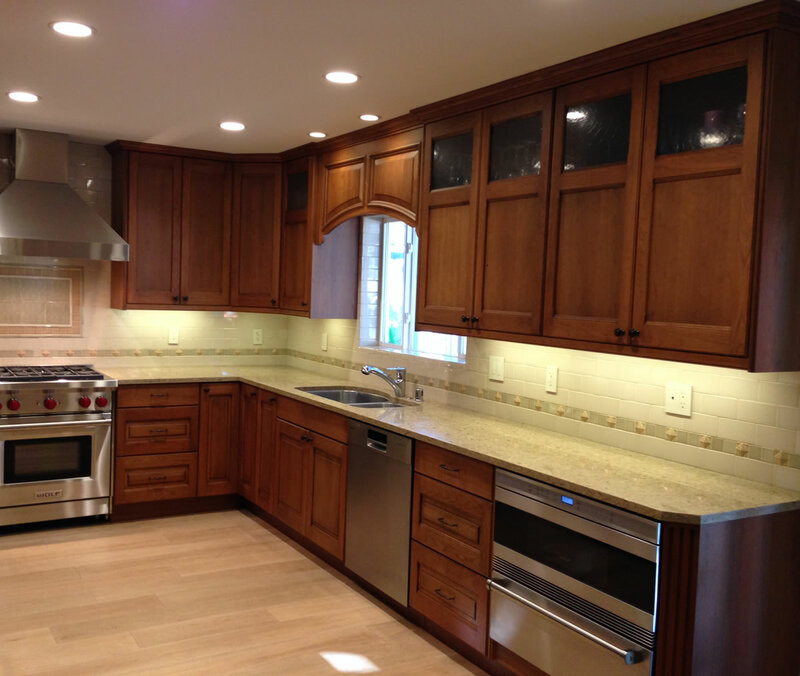 The Wainscoting valance blends in with the medium cherry Wood Mode cabinetry. 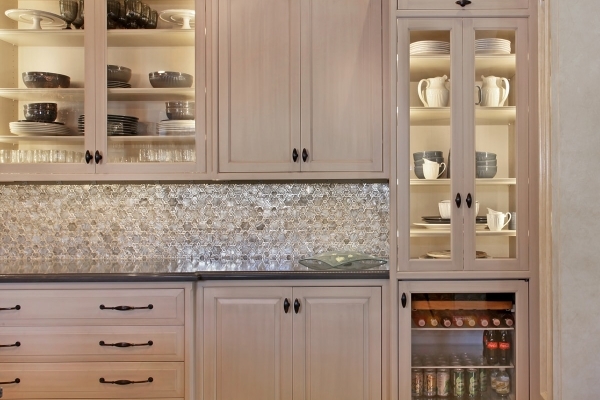 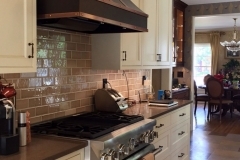 This kitchen has a backsplash made from Sonoma Tile to accent the space. 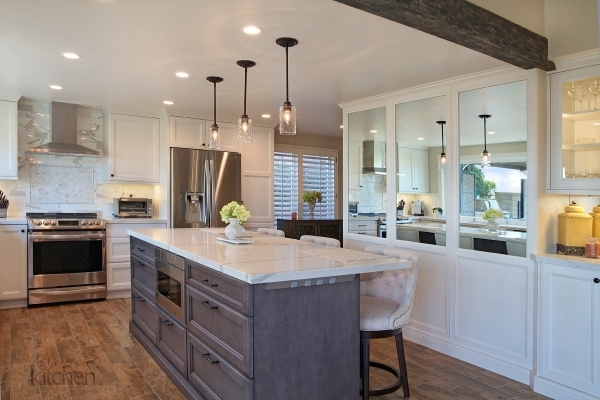 LED lighting in this kitchen provides plenty of versatility, whether that may be bright lights to see what you are cooking, or low mood lighting for a quiet dinner. 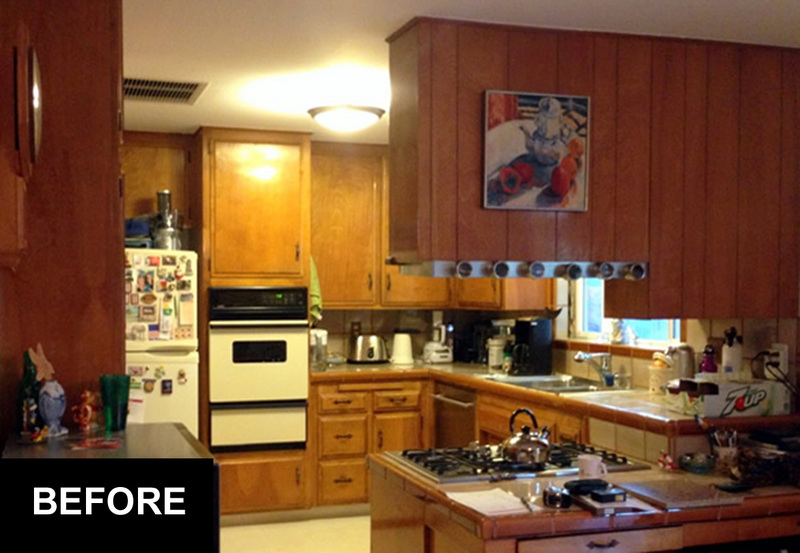 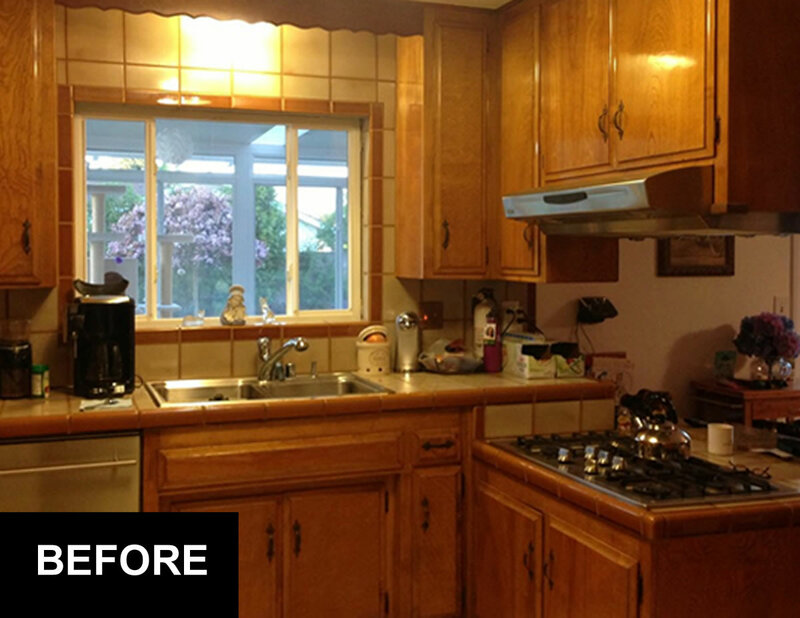 Take a look at the stunning contrast of the new kitchen with the BEFORE photos below.